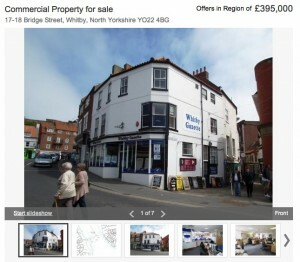 Whitby Gazette’s historic harbour-side offices have been put on sale for £395,000. It's not yet been revealed where the editorial team will be based once the building has been sold, although it is suggested that they will remain in the town, just in a smaller office space. Earlier this year Johnston Press hit the headlines when it made the Gazette's editor, Jon Stokoe, redundant. That’s despite it being the country’s best performing weekly newspaper. Stokoe has remained in Whitby, setting up his own agency, Stokoe Media.